Tonight I felt completely like not writing. But since the practice has become more habit and less conscious choice, I started anyway. I learned tonight – again – that the hardest step is the first one. Typing the first sentence in a new chapter is often, for me, the mental equivalent of bench pressing ones own bodyweight in paperclips. Once the first sentence has been clunked onto the page, irrespective of whether it’s ugly or beautiful, the rest of the words begin to line themselves up more willingly, to dance off my fingertips and onto my laptop screen. There are countless inspirational quotes, gifs, memes, lolz, videos, graphics, posters, etc, that concisely describe the feeling I had tonight. 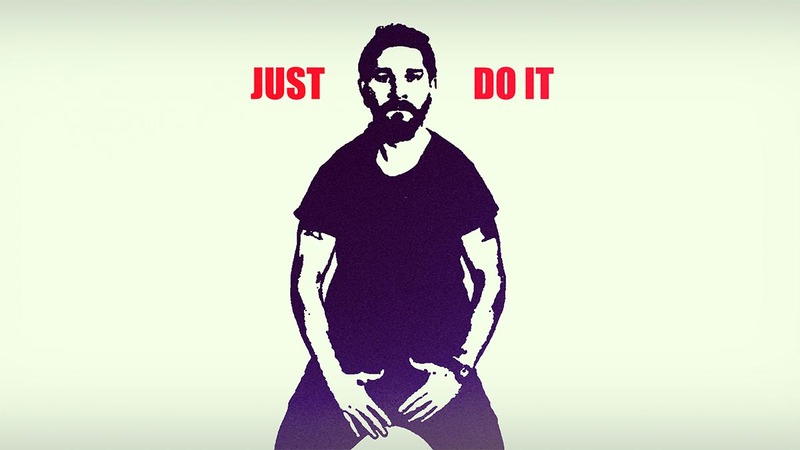 But none so more than my dear celebrity crush Shia Labeouf. He of this video, and the myriad memes it spawned.